I shared about Kelly's story in this post, but like the cliche goes, this picture captures the story better than a thousand words ever could. 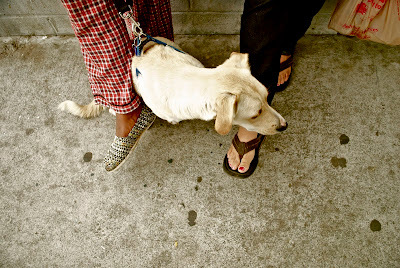 On the left: Joanna, a homeless woman wearing a brand new pair of TOMS. On the right: Kelly, a high school student wearing Joanna's old sandals.